Includes detachable micro-usb data cable. Compatibility: Moto E Family, Moto G5, G4 Play, Moto X force, X pure, X style, X play, Moto C, C plus, Motorola Droid Turbo, Turbo 2, Ultra, Maxx2, Maxx, Razr, Nexus 6, as well as compatible micro USB enabled smartphones, tablets, digital cameras, and other devices. • Rapid Charging. Charge your device fast with 10W of power delivery. • Charge safely. Rest easy. Get built-in protection from power surges, extreme heat, and other dangers, and know your smartphone or tablet will remain safe while charging. • High Energy Efficiency. This charger meets the current highest energy efficiency standard level VI. It will charge your devices efficiently. • Great for traveling. Compact design makes this a perfect charging companion when you're on the go. • Includes a detachable micro-USB to USB data/charging cable. You can use it with compatible smartphones, tablets, digital cameras and more. * Not all devices will charge at the same rate. Some devices may not be able to utilize the full 10 W. Charging rate reduces as charge levels become full to protect battery life. 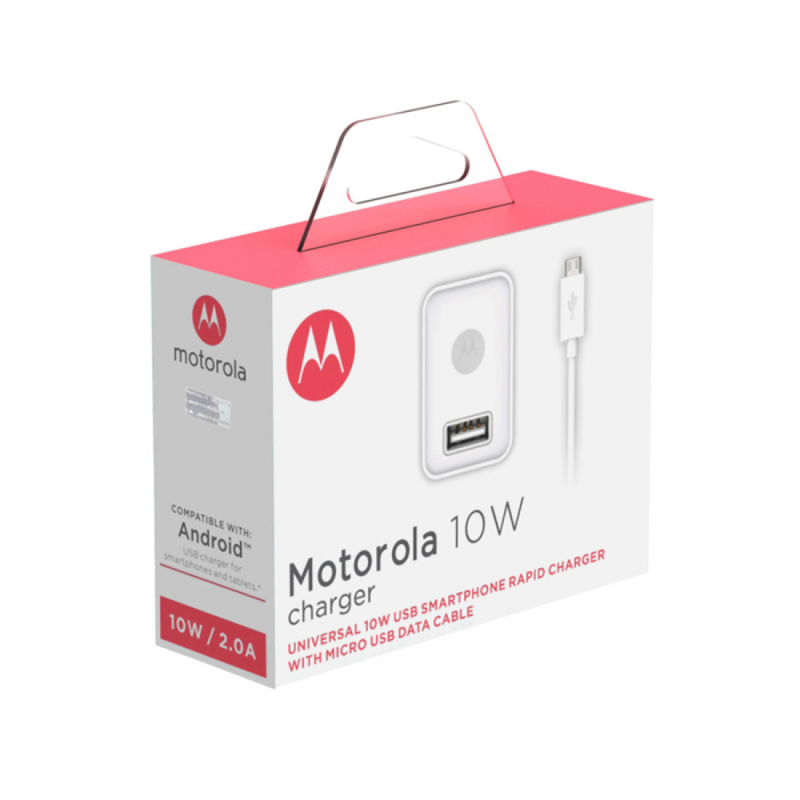 Moto E Family, Moto G5, G4 Play, Moto X force, X pure, X style, X play, Moto C, C plus, Motorola Droid Turbo, Turbo 2, Ultra, Maxx2, Maxx, Razr, Nexus 6, as well as compatible micro USB enabled smartphones, tablets, digital cameras, and other devices.